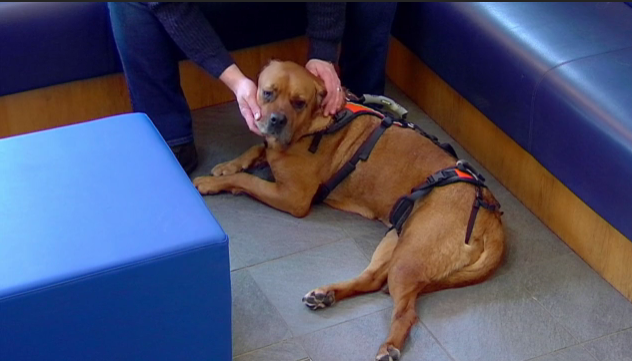 Lulu came to Fitzpatrick Referrals as an emergency after losing the feeling in her front and back legs. The MRI imaging revealed the situation was worse than even Professor Noel Fitzpatrick had anticipated. 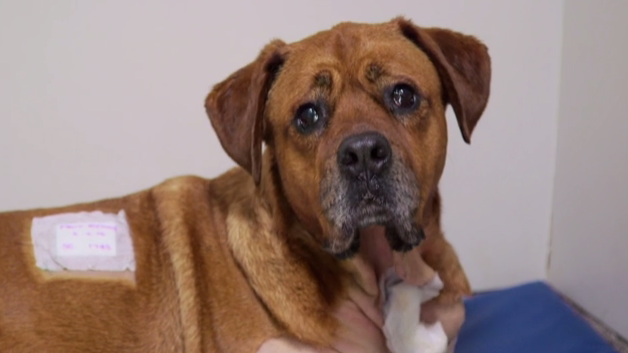 The spinal cord and nerves in Lulu’s lower neck were being completely squashed meaning Lulu was totally unable to walk. The cause of this degeneration of her spine is a genetically predisposed condition caused by an overgrowth of bone in Lulu’s neck called Osseous-Associated Wobbler syndrome (OAWS). The technical term for this condition is osseous-associated cervical spondylomyelopathy. The overgrowth of bone squashes the spinal cord and the nerves in the lower neck, resulting in poor transmission of nerve signals between the brain and the limbs. For the past 5 weeks Charlie has been sleeping downstairs with Lulu as she could not move. One night Lulu got up and licked Charlie’s face and that was the moment when Charlie believed there was hope for Lulu and that seeing Noel was their final chance. Noel decided that the best way to alleviate the pressure in Lulu’s neck was to remove two discs and spread apart the compressing bone using two spacer implants and the three vertebrae would then be held rigidly together using special custom-designed plates and rods screwed into the bone which Noel invented. The spacer device is called a FITS (Fitz intervertebral traction screw) and the linkage system is called a cervical Fitzateur. The technique is called Cervical Distraction Fusion. Bone marrow harvested from the upper arm bones (humeri) would encourage permanent biological fusion of the vertebrae facilitated by the plates, rods and screws. Because the implants are custom made and 3D printed based on Lulu’s own CT scan, the implants fit like a glove and this considerably reduces the risk of one of the screws damaging the spinal cord. This is a massive surgery and recovery is always unpredictable, some dogs recover very quickly and are able to walk almost immediately, others can take more time for the inflammation of spinal cord and nerves to reduce and to regain function again, whilst others may never recover depending on how badly the spinal cord has been damaged before intervention. 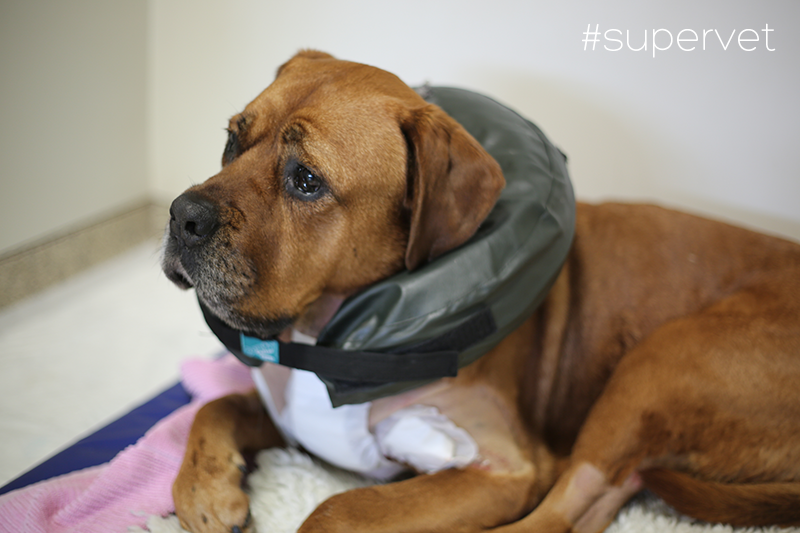 Fantastically, three days after surgery Noel took Lulu for a walk, and was thrilled with her progress – a very rapid recovery considering the severity of her spinal cord compression and the significant surgical intervention needed. Lulu was able to go home to Charlie who was thrilled to have his best friend back to her old self with a new bionic spine.